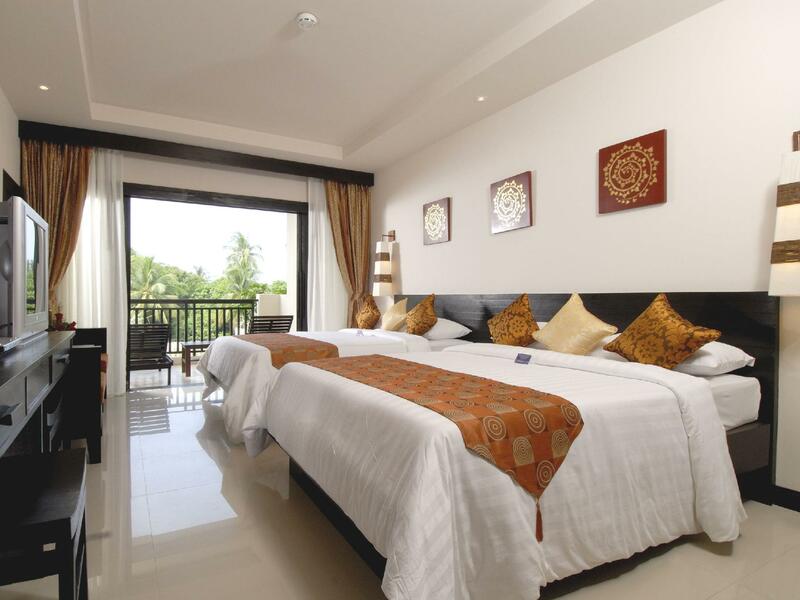 Horizon Karon Beach Resort & Spa, terletak di Karon Phuket adalah pilihan yang populer bagi para wisatawan. 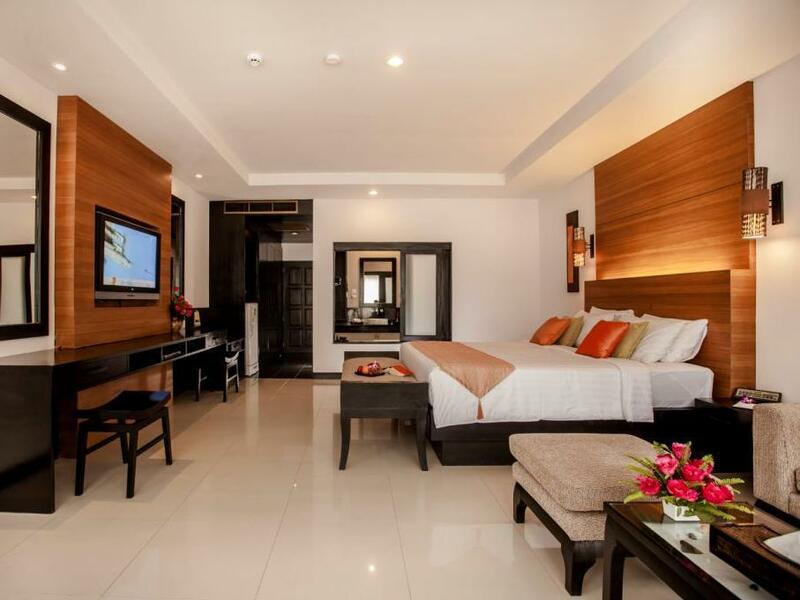 Hotel ini tidak terlalu jauh dari pusat kota, hanya 20 km dari sini dan umumnya hanya membutuhkan waktu 60 menit untuk mencapai bandara. Yang tidak ketinggalan adalah akses mudah dari hotel ini ke sejumlah obyek wisata dan landmark kota ini seperti Stadion Peringatan Ibu Suri, Dino Park Mini Golf, M.G.Collection. Di Horizon Karon Beach Resort & Spa, setiap upaya dilakukan untuk membuat tamu merasa nyaman. Dalam hal ini, hotel menyediakan pelayanan dan fasilitas yang terbaik. Untuk kenyamanan para tamu, hotel ini menawarkan layanan kamar 24 jam, WiFi gratis di semua kamar, satpam 24 jam, toko serbaguna, layanan kebersihan harian. 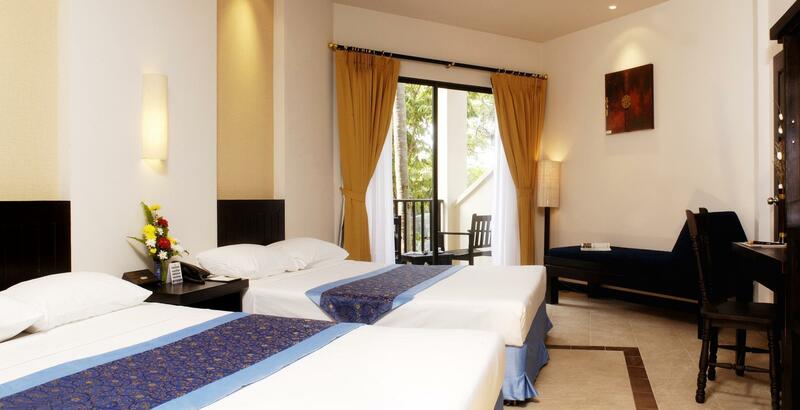 Horizon Karon Beach Resort & Spa memiliki 160 kamar tidur yang semuanya dirancang dengan citarasa tinggi. Banyak diantaranya memberikan kenyamanan seperti televisi layar datar, telepon di kamar mandi, rak pakaian, kopi instan gratis, teh gratis. Fasilitas hiburan hotel ini seperti hot tub, pusat kebugaran, kolam renang luar ruangan, spa, pijat dirancang untuk bersantai. 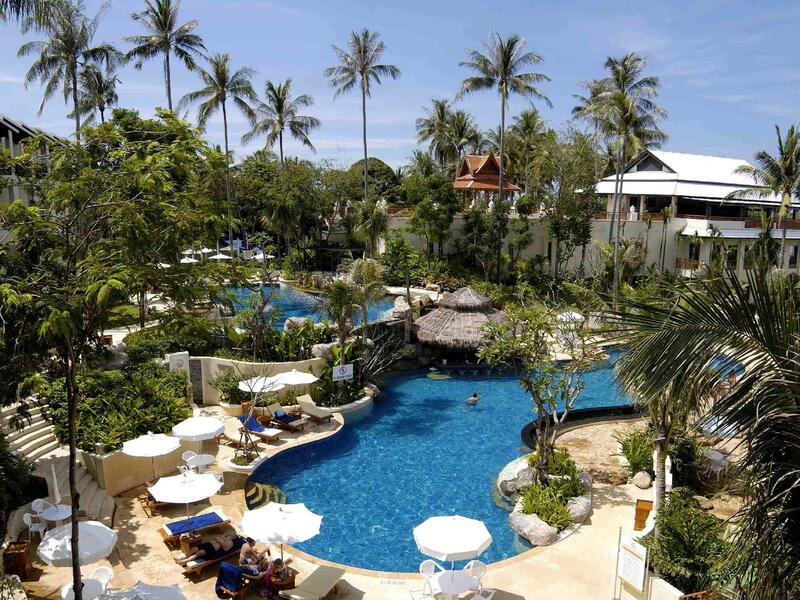 Horizon Karon Beach Resort & Spa adalah tempat menginap ideal bagi para wisatawan yang mencari pesona dan kenyamanan dari Phuket. Perlu diketahui bahwa semua tamu yang menginap di Club Wing harus berusia setidaknya 18 tahun atau lebih. Anak-anak tidak diizinkan untuk memasuki atau menginap di Club Wing. Tipe kamar 'Deluxe Room' dan 'Club Room' hanya terletak di Club Wing saja. Jika pemesanan yang dilakukan meliputi tamu yang lebih muda dari 18 tahun, pihak hotel memiliki hak untuk merelokasi tamu ke kamar Superior. Perlu diketahui bahwa tamu tambahan yang menginap di kamar tamu harus mendaftar terlebih dahulu di resepsionis. Perlu diketahui bahwa akan ada biaya tambahan untuk tamu tambahan yang telah termasuk sarapan & tempat tidur. Located 300m from beach road up a steep road, but they Tuk Tuk you up & down from reception. Over the road is Karon beach, turn right to walk to some shops & restaurants in Karon, or left to many bars, restaurants, shops, Starbucks, Seven Eleven. Taxi from Airport is 800 TBH or 200TBH per person in minibus. Return taxi is 1200, or 1500 if arranged by hotel. The rooms are spacious, well stocked with toiletries, towels & beach/pool towels & 500ml bottle of water per person a day, & teas/coffee. 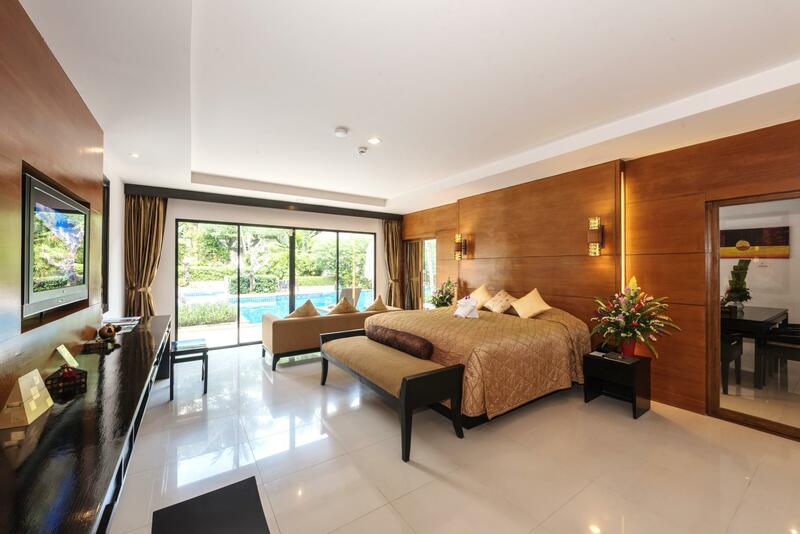 Maids clean daily & there is a free shuttle bus to/from Patong Beach 4 times a day. Book as it gets full as a taxi is 400tbh each way. Breakfast is amazing, so much variety via buffet, or chef cooked egg station. There is a gaming room with PlayStation, pool & table tennis, gym & a lovely massage spa (pricey, but very high end rather than those seen on beach). I I had a 1hr massage poolside & boy they can knead muscles & pull you about, but it was so nice! This place was a gem, well worth a stay! Loved everything about this resort. Staff were always helpful. Rooms were large & clean. The over 18 section was quite & relaxing. Great location. Set between Kata & Karon. Plenty of restaurants & shops around. They also run a free service into patong a few times a day. Rated four stars for location only because it's on a hill. They do have a Tuktuk available to bring you to and from the main road (less than 2-minute ride) but up to 9pm only. Once on the main road, you'll find lots of restaurabts to choose from, a family mart, ATMs, massage and hair salons. Karon Beach is also one of the better beaches in Phuket. Hotel breakfast is so-so. Asian fare is ok but they could do better with the western dishes especially the bread and pastries selection. Hotel also needs to provide toilet paper with better quality. Nice hotel for families with children. Hotel itself looks like something hidden in the forest, nice decorated and clean. Breakfast is as usual for every 4-5 star hotels in Thailand. You should know that hotel is about 200 meters far from the beach and you have to climb the hill from beach to the hotel, but this was not a problem for us. For those who doesn't want to walk that distance hotel provides free tuk-tuk service from 9am to 9pm so you can use it to go or come back from the beach front. 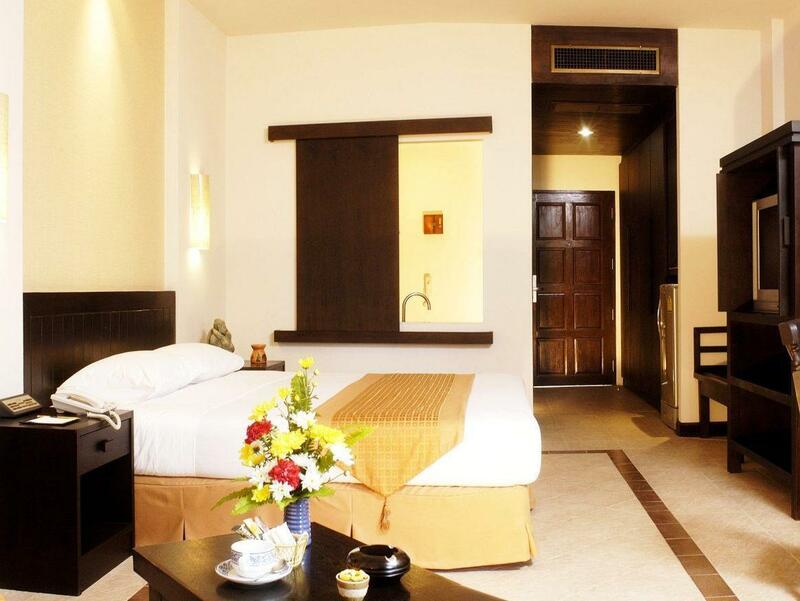 The rooms were spacious and clean and well equipped. The staff were very friendly & helpful. The buffet food had a good variety, was fresh & delicious. Water pressure for the shower was a bit low, but acceptable. Location is quiet, away from all the action. Suitable if you want a quiet getaway, but not great if you want to get around the island more. Have stayed here before and look forward to staying again. A great resort for a family. Staff are friendly and helpful. Make sure to a room with a pool view as opposed to a 'garden' view room. The breakfast and dinner buffet is great. If you book early you can a room, breakfast and dinner for a more than reasonable rate. Very relaxing. Reservation included breakfast and dinner which was fantastic. I recommend this hotel. Although beach is down a steep hill, hotel provides transport up and down the hill. Beach is gorgeous with less people.